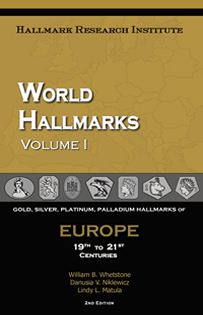 Most Comprehensive Coverage of International Precious Metal Hallmarks Available Today! 8.5% sales tax applies to all California sales. 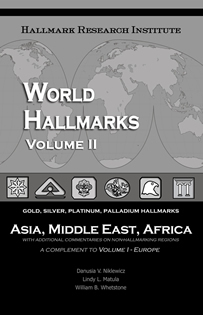 Shipping within the USA by priority mail - $13.60 (2-3 days) or by media mail $7.50 (3-9 days).Both require signature delivery so please provide appropriate address for delivery. 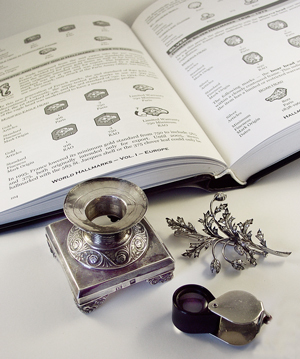 Due to regulations in the USA, all international shipments will be valued at the price listed on the invoice. For international, please allow 3-6 weeks from date of order. In some cases, it will be necessary to contact your local postal office for pick up. The customs number will be your retrieval identification number.